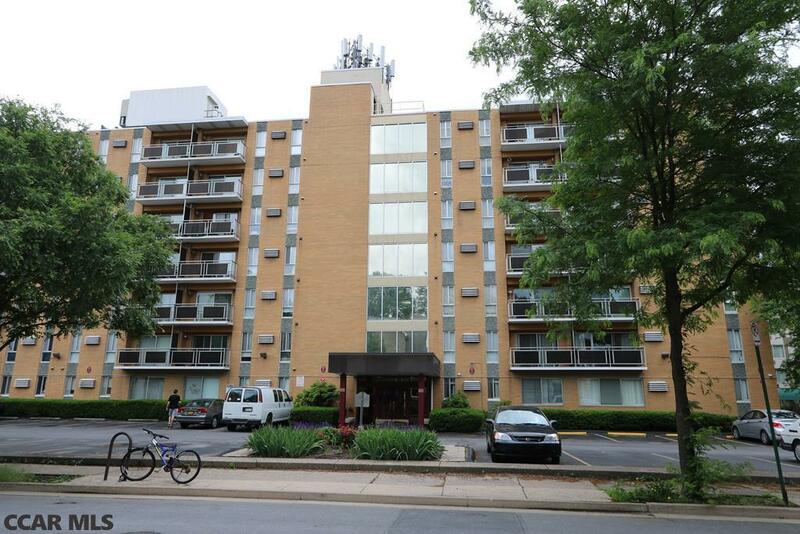 Great location in downtown State College! This well maintained 1 bedroom, 1 bathroom condo just 1.5 blocks from campus, features a spacious dining/living area, a sizable bedroom with two closets, 5th floor with a nice balcony. Laundry facilities and storage area onsite. HOA takes care of building exterior maintenance, building exterior insurance, common area insurance, common area maintenance, electricity, heating, exterminating, water, sewer, snow removal and trash, except for internet. Property is currently rented until July 31, 2019 for $980 a month, no undergraduate students allowed. This property includes parking spot #14. Directions: S Atherton To Pugh St., Right Onto Highland Ave.